Cajuput oil is a volatile oil obtained by distillation from the leaves of the myrtaceous tree. Cajuput Oil (Cananga Oil Java) is an excellent wound healing product. 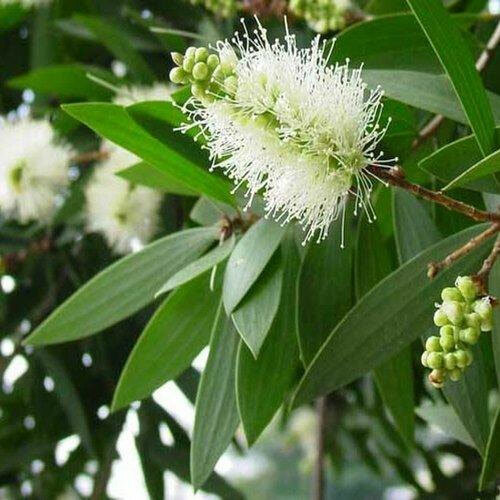 Its smell, which is similar to eucalyptus, can be useful in inhalations for bronchial conditions. Its also known as cajaputi in Hindi. It has a bitter, pungent, sweet taste with powerful, fresh, eucalyptus-like, camphoraceous odor. Its actions are antiseptic, antispasmodic, expectorant, analgesic, antineuralgic and haemostatic. A thick, pale yellow liquid with a strong, warm, woody-spicy fragrance. It blends well with cananga, cinnamon, labdanum, olibanum, patchouli, cedarwood, amyris, spice and oriental bases. It used to be highly esteemed as an aromatic stimulant and tonic for fever (typhoid), nervous complaints, vertigo, headaches, dysentery, etc. Camphor White 35% Oil is extracted from the Cinnamomum Camphora. It has a clear and fresh smell. It is a balancing oil, and can sedate the nerves and uplift apathy. It can help with feeling cold and reduces inflammation. It is used with great effect to repel insects such as flies and moths. 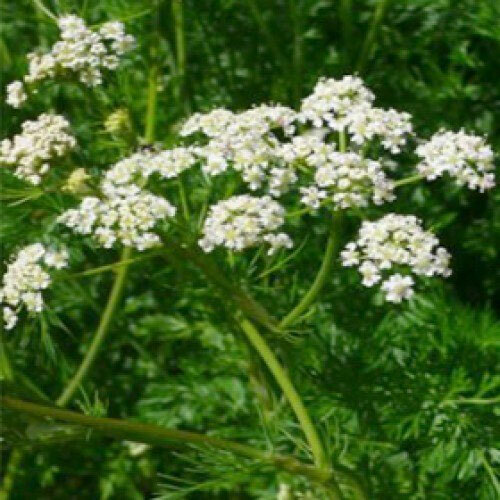 It also has a positive effect in colds and flu, infectious diseases, bronchitis, coughs, and can assist with muscular pains, rheumatism, sprains, arthritis etc. The Cananga is a beautiful flowers that have been used for centuries as decorations at festivals. The oil from these flowers can be used locally for infectious illnesses. Many people also enjoy the fragrance that it gives off due to its flower origins. The oil is also very popular for its use in general skin care. 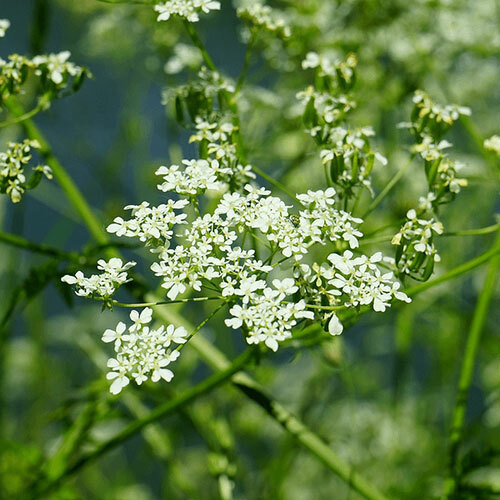 Caraway seed oil is obtained by steam distillation of ripe dried seeds. It is native of hungry. The oil is a pale yellow liquid displaying a warm, sweet, spicy-minty aroma with a soft balsamic undertoneIt is used in ayurvedic creations, apothecary perfumes, culinary notes, spice accords, resinous notes. 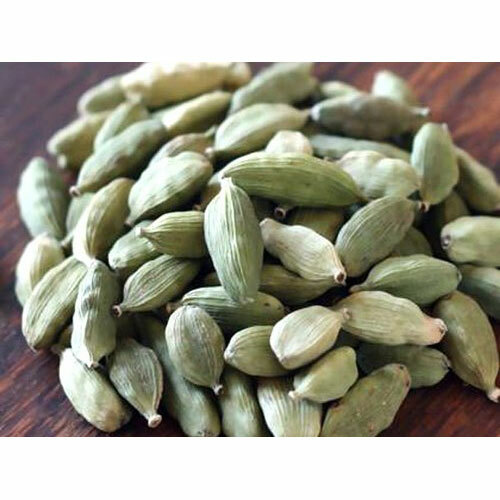 The Cardamom oil is extracted by steam distillation from the seeds of the fruit gathered just before they are ripe. It is cultivated in India and Ceylon. Its chemical composition includes Terpineol, Cineole, Limonene and Sabinene. The therapeutic properties Cardamom guatemala oil is antiseptic, carminative, digestive, diuretic, stimulant, stomachache, tonic and anti-spasmodic.  Cardamom India oil is extracted from dried seeds of cardamom. It is native to India. Cardamom oil is sweet, spicy and almost balsamic in fragrance, is clear to pale yellow in color and slightly watery in viscosity. The oil is used in flavoring agent and pharmaceuticals. The oil is obtained by hydro diffusion of Cascarilla bark. The tree is native of Bahama islands and also found in Jamaica. The oil is honey yellow or brownish in color and has spicy odor. 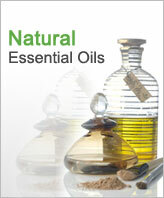 The oil is used in pharmaceuticals and aromatherapy. 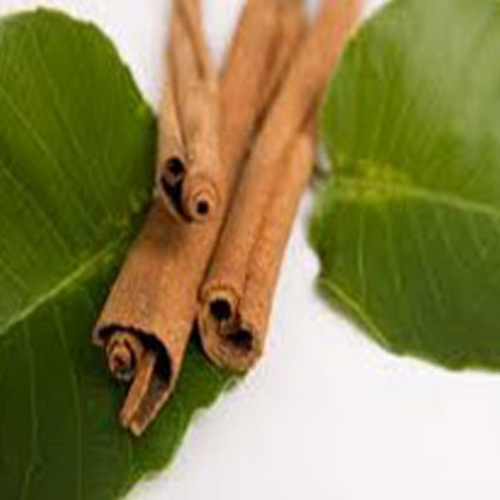 Cassia oil is obtained by steam Distillation of leaves of Cassia. It is native to china and known as Chinese cinnamon. The oil is pale yellow to reddish brown and has a warm, bitter and spicy aroma. Cassia oil is used as a tonic, carminative and stimulant. It is also used to treat nausea, flatulence and diarrhea. Cedar leaf oil is extracted by steam distillation of leaves of cedar. It is native of Canada and India. The oil is colorless to pale yellow clear liquid with intensely sharp and fresh with a woody camphor scent. 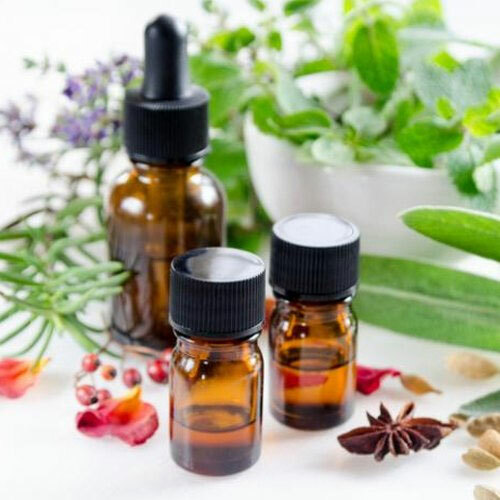 This oil is used in pharmaceutical products because of its therapeutic properties, as well as perfume, toiletries, cosmetics, soaps and detergents, because of its aromatic properties. This oil is extracted by the process of steam distillation. 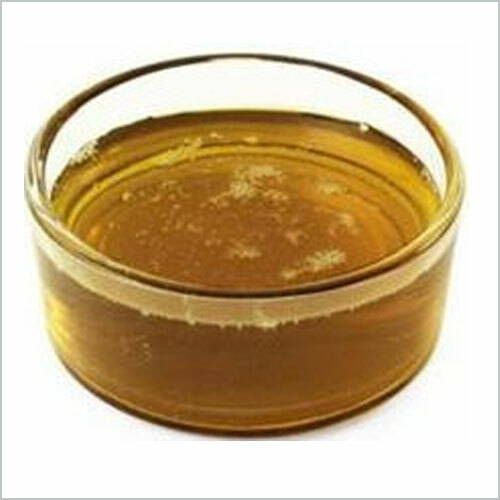 It is a light golden yellow color oil. 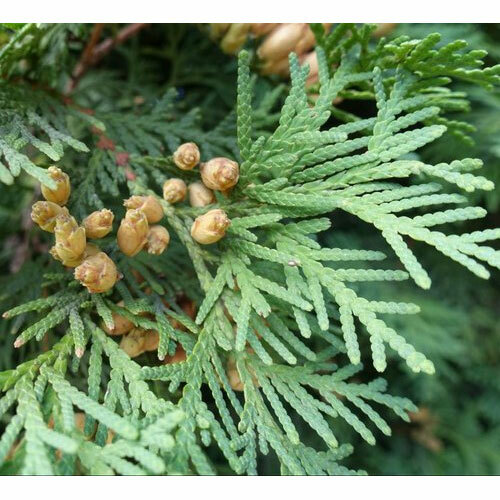 Cedarwood is known for use in problem skin, as an insect repellant, and as an inhalent in respiratory complaints. It's actions are sedative, astringent, and antiseptic. It can be used to treat oily skin and scalp, relieve itching, and more serious skin conditions like psoriasis and eczema, remembering that high concentrations will irritate the skin. Cedarwood is similar in action to the highly expensive sandalwood. Cedarwood China Oil is produced by steam distillation of the wood of Chinese Weeping Cypress, which is an evergreen shrub. This oil is pale yellow or yellow-green, with an odour that is almost invariably smoky, woody­, bordering on crude, with an almost cresylic character. The chinese oil is more powerful and may irritate skin if taken in higher concentration and it is should be avoided in pregnancy. Cedarwood Texas Oil is produced by steam distillation of the wood or wood shavings of the ­small tree. The odour profile of the oil is of intense­ pencil sharpenings, smoky, woody notes with aspects of guaiacwood, but much ­drier than other Cedarwood oils. It finds use in a range of fragrance applications such as soap perfumes, household sprays, floor polishes and insecticides. Small quantities are used in microscope work as a clearing oil. Our cedarwood essential oil is extracted from Juniperus virginiana of the Cupressaceae family. It has a soft, woody and 'pencil-like' smell and has a faint undertone of sandalwood. It is pale yellow to light orange in color and is viscous. It sorts out urinary tract infections, as well as bladder and kidney disorders, while improving oily skin and clearing up dandruff. Celery is an aromatic and very warm fragrant herb. The fruit or 'seed' is grayish green to brown with a characteristic, slightly bitter, spicy taste. Celery Seed Oil acts as a great calming stimulant. It can help in preventing diseases like diuretic disorders, hysteria, sleeping disorders, arthritis and so on.